Two more federal polls were published yesterday and both indicate that the governing Liberals could be in deep trouble. The Conservative Party of Canada leads the way with 37%. Such a support in October would assuredly translate into a conservative win, although a majority would still be uncertain. 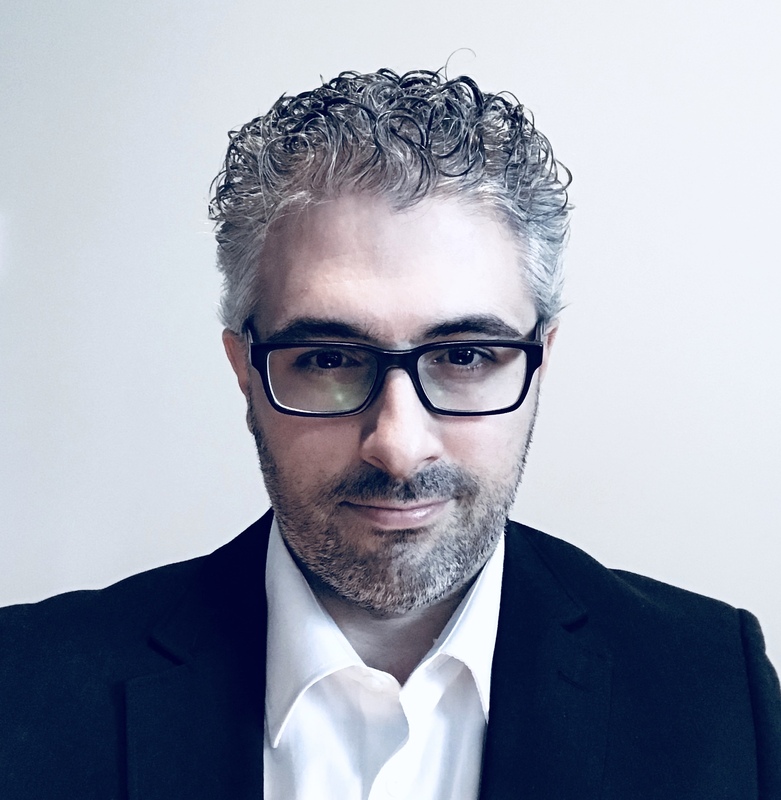 According to Angus Reid's numbers, the CPC leads in every region of the country, except Quebec where there is a statistical tie between the CPC and the LPC. The Liberal Party of Canada falls to only 28% of respondents. The LPC trails the CPC by 4 points in both the Atlantic provinces and Ontario, and a staggering 13 points in British Columbia. Second, Global News pulbished a new Ipsos poll that shows similar tendencies as Angus Reid. Ipsos was on the field from March 25th to 27th and has an internet panel sample size of 1002 potential voters. According to Ipsos, the Conservative Party of Canada get the support of 40% likely voters ten points in front of the Liberals which stand at 30%. Should such numbers hold until October, it would most likely push the CPC above the 170 seat threshold for a majority at the House of Commons. Edit: here is the Ipsos full report. Note that, according to the Global News article, neither the Green Party of Canada nor the People's Party has been included in the poll - which is a shame. 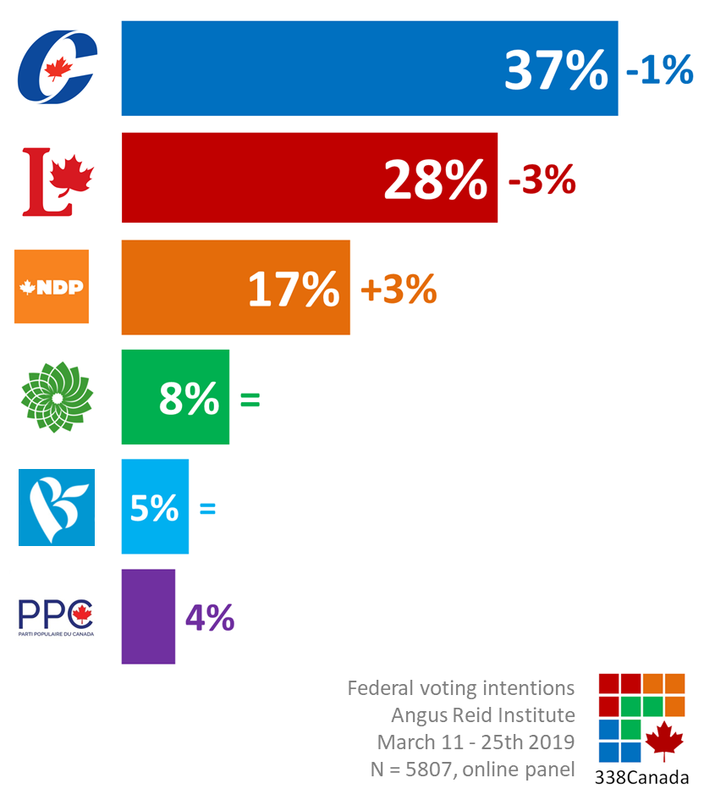 Global wrote that "other parties" received support from only 4% of respondents, which, honestly, feels a little off considering the GPC and the PPC regularly get around 10% combined in polls from other firms. 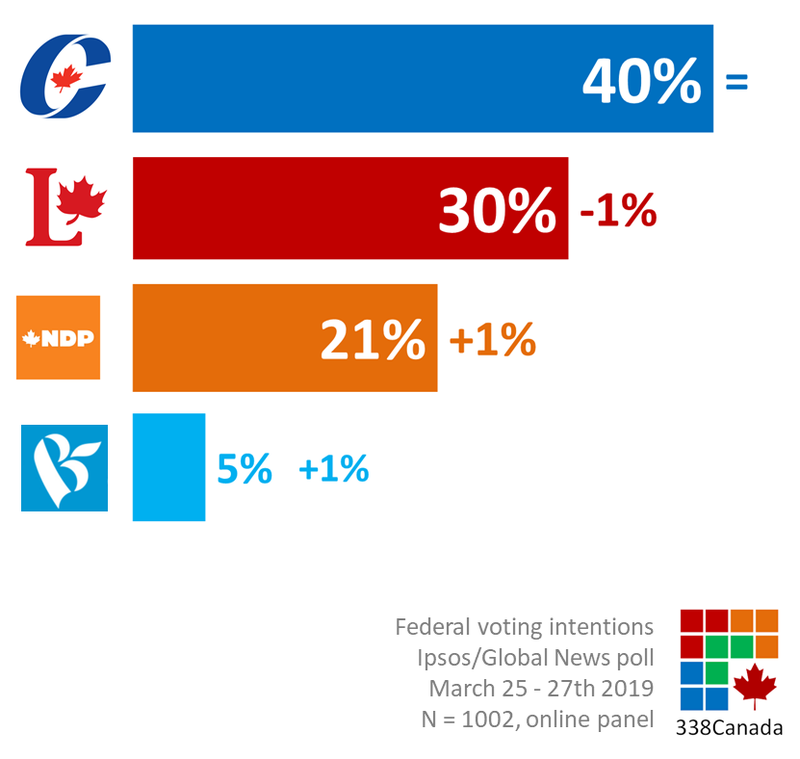 We add those new polls to the 338Canada electoral model. A full federal update will be published Sunday, as per usual.